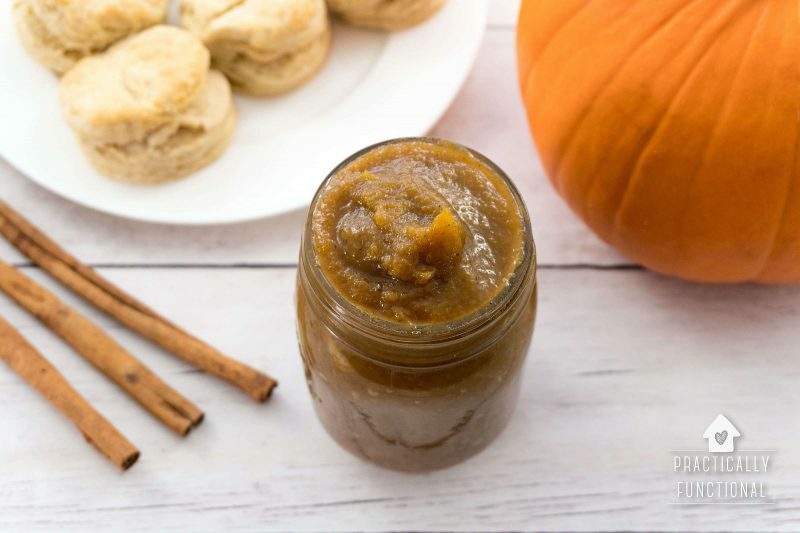 Pumpkin spice is one of my favorite things about fall, and today I’m going to share how to make your own homemade pumpkin butter so that you can have that awesome pumpkin spice flavor at home whenever you want! 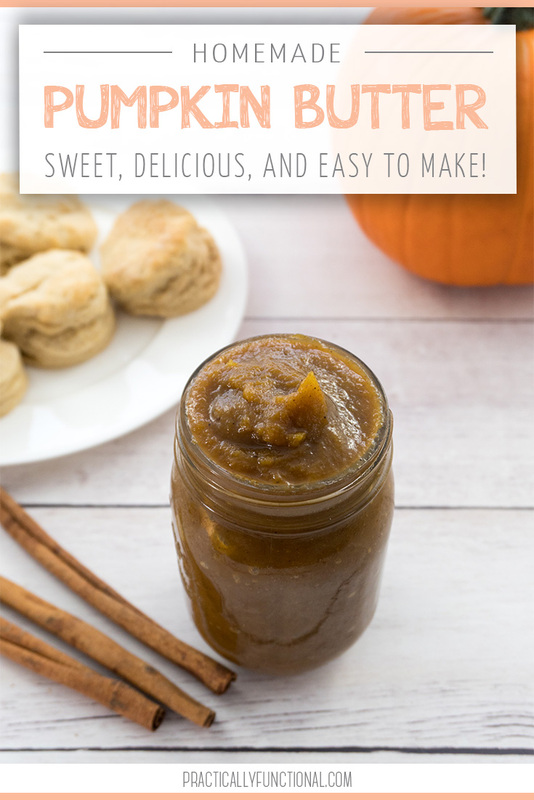 It’s super easy to make; just chop up a pumpkin and toss it in the slow cooker with some spices, and 5 hours later you have delicious pumpkin butter! 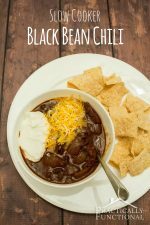 I make this recipe using a whole pumpkin that I cut up and put in the slow cooker, but you can substitute canned pumpkin if you’d prefer. 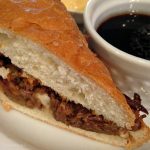 I have the substitutions listed in the recipe below. 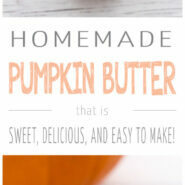 One small pumpkin (about 3-4 lbs) makes approximately 3-4 cups of pumpkin butter. 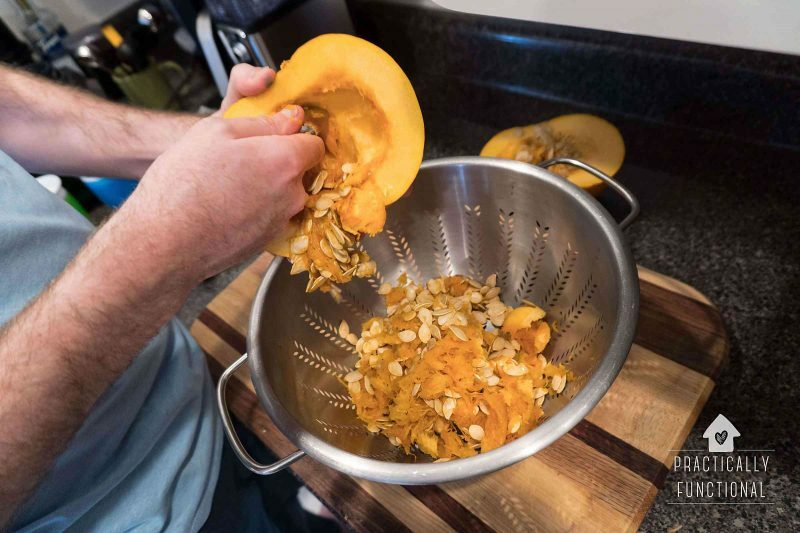 Then peel the pumpkin to remove the rind and cut the pumpkin flesh up into small chunks (about 1” square). 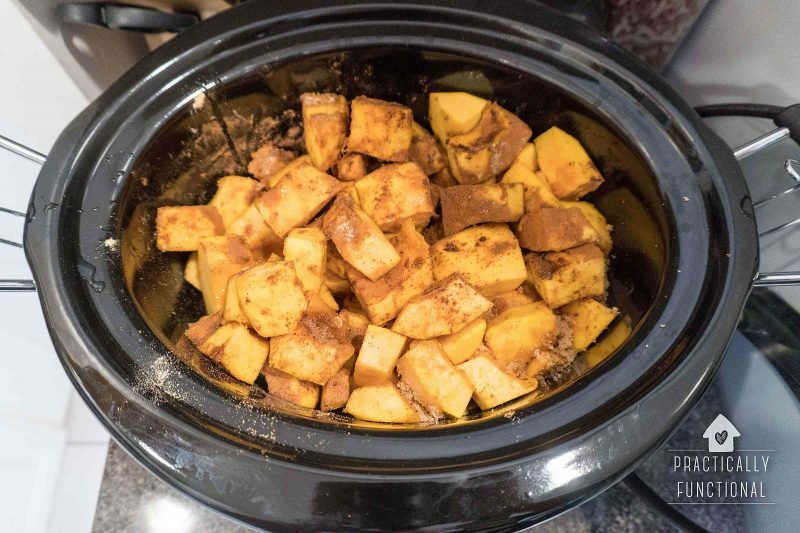 Put the pumpkin and all other ingredients into a large slow cooker and stir it to mix everything up. Cook on low for 5-6 hours, stirring once or twice while it’s cooking to make sure that all of the pumpkin chunks soften up. 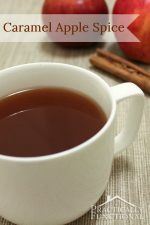 After 5-6 hours, blend up the mixture to get it nice and smooth. How smooth to make it totally depends on your preference! Personally I like really really REALLY smooth pumpkin butter, so that it’s more like actual butter, so I put it into the Cuisinart and ran it for like five minutes. 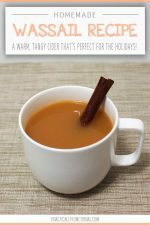 But I know a lot of people who like it kinda chunky like an applesauce. 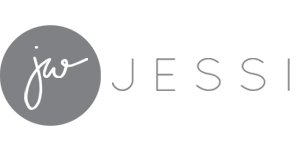 Blend it until it’s as smooth as you want it, and you’re done! 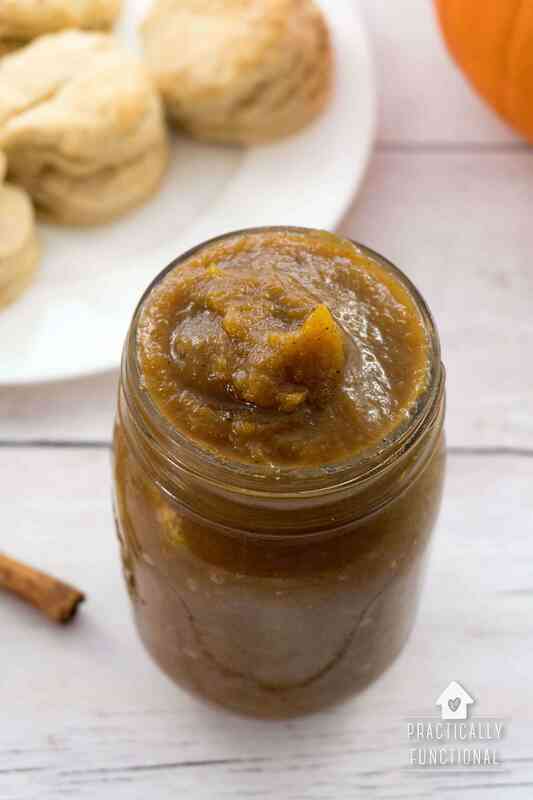 Store your pumpkin butter in an airtight container in the fridge until you’re ready to eat it! Or if you want to store it long term, put it in the freezer. 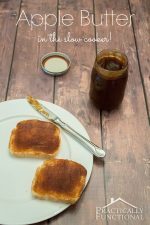 It is NOT safe to can homemade pumpkin butter. 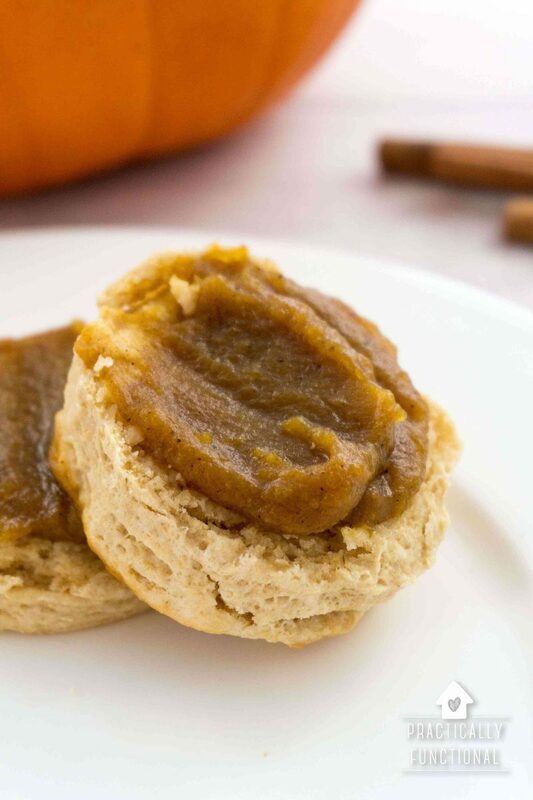 Pumpkin butter can be used for tons of things, but my favorite is as a spread on homemade biscuits…yum! 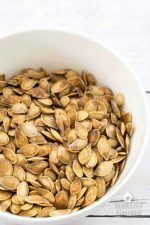 If you’re using fresh pumpkin, start by cutting open the pumpkin and removing the seeds. Peel the pumpkin to remove the rind and cut the pumpkin flesh up into small chunks (about 1” square). Then put the mixture in a food processor or blender to get it nice and smooth.